Have toi watched Avatar in any other languages? Aaron Ehasz (one of the Avatar writers) a dit that he had planned an Azula redemption arc. What are your thoughts? Which hairstyle fits Katara better? Which hairstyle fits on Aang better? Post your favori modern AU art. What is your favori Avatar YouTube video (AMV)? If toi could change anything about book 1 of Legend of Korra, what would it be? Over on tumblr someone had asked me for my opinions on this video: link It is about 50 minutes long, but, in my opinion, is well worth the watch. So I decided to watch it and give my thoughts. I am quite sure every person in the Avatar fandom has heard about Zutara and Maiko dozens of times many of those occasions in complicated shipping wars something this article is not here to initiate. But how many times have toi heard of Jinko? How many even remember who Jin is? I am willing to bet not many. She was the girl that Zuko dated when he was stuck in Ba Sing Se as a fugitive of every nation including his accueil and was disguised as a refugee of the name "Lee". In Tales of Ba Sing Se. The Last Airbender is a 2010 action film that was based on a beloved montrer of the same name. The film got really bad reviews, but I actually really liked the film. I only saw clips of the animated montrer before watching the live action film so I'm judging this film par itself instead of comparing it to the show. I still haven't watched any full episodes, but I did enough research to understand the plot and characters. 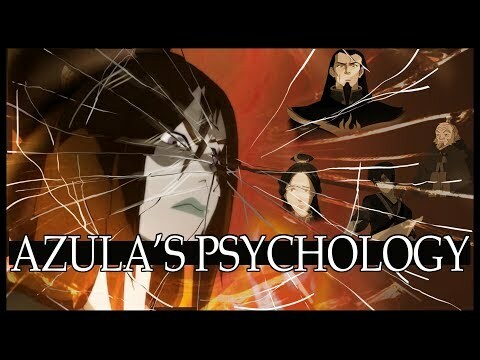 A big topic of discussion around Azula is usually what kind of mental illness she has, I tend to discuss that plus and put less talk into the reasons for her losing it. So I've been really into travel lately and dreaming of places I'd l’amour to see. And then I got to thinking about what places some of my favori characters might like to go to. So I thought I'd just consider where all of the Avatar characters might go to if they lived in our world. Hi everyone! I'm Tess and 20 years old. I started watching this series when I was 12 and have been in l’amour with it since. I recently began rewatching and it rekindled my l’amour for this show! I would l’amour to have Friends to talk to about it. We can share opinions and thoughts. a comment was made to the poll: Which Hogwarts house would toi put your favori character in? a comment was made to the poll: Aaron Ehasz (one of the Avatar writers) a dit that he had planned an Azula redemption arc. What are your thoughts? The guy who played Toph in "The Ember Island Players" episode was actually supposed to be the original Toph.